In Dubious Battle, a film directed by and starring James Franco, based on a John Steinbeck novel of the same name, is looking to cast extras for scenes being shot in Yakima, Washington, starting next weekend, Sept. 27-28. 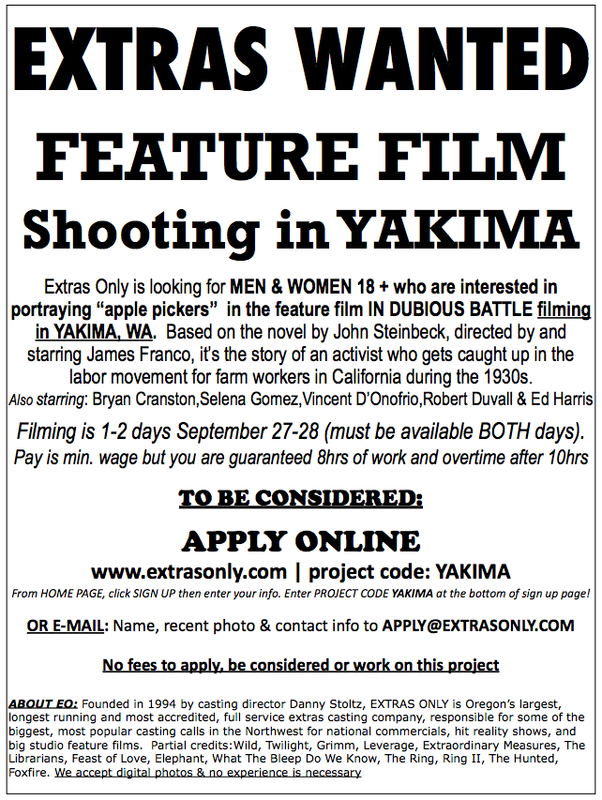 A Portland-based casting company, Extras Only, is seeking to hire men and women over the age of 18 to portray apple pickers in scenes of the film, which chronicles a 1930s fruit picker labor movement in California. Two casting notices have gone out, another of which says the film is looking for men with long beards, so that might give you an edge, dudes. Oscar nominee Franco, who's been taking more time behind the camera than in front of it lately, is a big Steinbeck fan, having also played the role of George in the Broadway revival of Steinbeck's Of Mice and Men. 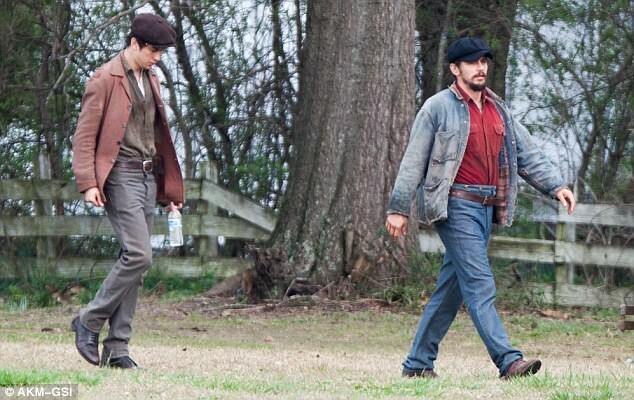 So far, much of In Dubious Battle has been filmed in the idyllic town of Bostwick, Georgia. Besides directing, Franco is playing the role of the novel's character Mac McLeod, leader of the "Party," who helps organize a major worker strike. Other stars cast in the film include Selena Gomez, Bryan Cranston, Josh Hutcherson, Ashley Greene, Ed Harris, Robert Duvall, Zach Braff, Nat Wolff and Vincent D'Onofrio. It's set to release sometime in 2016.